Bowling Green, KY – Tyler Bortnick continued a strong month of June with a double and a home run on Friday night against the West Michigan Whitecaps. His efforts weren’t enough as the Hot Rods dropped a 6-2 decision to open a three-game series leading into the All-Star Break. Bortnick began his night with a double in the first inning, advancing to third base with two outs before the Hot Rods left him stranded. After lining out to deep center field in the fourth, he took a Jacob Turner fastball over the wall in left for his solo home run to lead off the sixth. It was his fourth homer of the season and his third at Bowling Green Ballpark. His home run had cut a 6-1 deficit down to 6-2. An inning earlier the Hot Rods scored a run on a Mayo Acosta single that scored Mark Thomas. 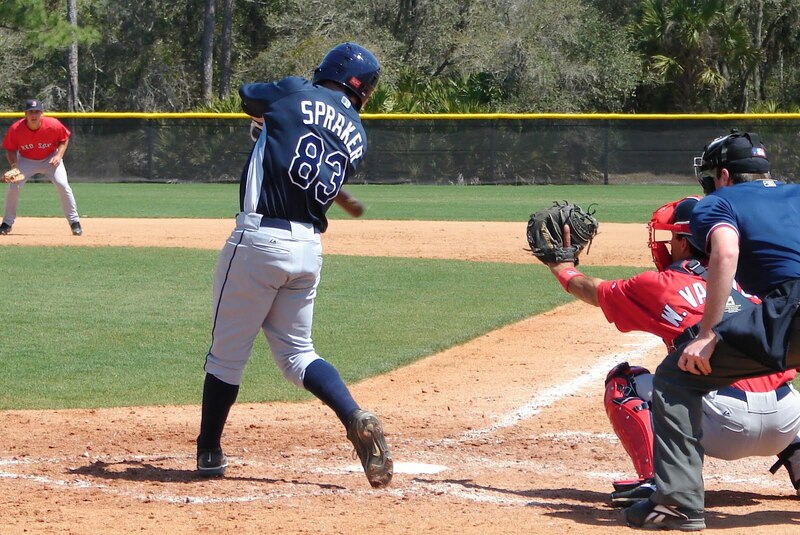 Thomas had doubled to begin the inning, taking third on a single by Kyle Spraker. After Acosta scored Thomas the Hot Rods had runners at second and third with no outs but couldn’t push across another run. West Michigan built its lead by scoring a pair of runs in the odd-numbered innings through the fifth inning against Hot Rods starter Wilking Rodriguez. Former WKU Hilltopper Wade Gaynor led the charge for the Whitecaps all night long. He drove in one of two in the first inning with a single. He smacked a two-run home run in the third before he brought home one of two runs in the fifth with his first triple of the season. During the even-numbered innings Rodriguez was dominating. He retired nine of ten men between the second, fourth, and sixth, allowing just a lead-off double in his final inning. He left the game after six, allowing five earned runs on eight hits. He didn’t walk anyone while striking out five. Jacob Turner earned the win by throwing 5.2 innings and allowing just two earned runs. He handed it over to Zach Samuels, who worked the final 3.1 frames to earn his first save. The Hot Rods bullpen continued its dominance of late with three more scoreless frames. Scott Shuman extended his personal scoreless streak to 14 innings by working a scoreless seventh and eighth. Matt Stabelfeld worked the ninth to extend the bullpen’s scoreless streak to 20 innings since Saturday night. The series continues on Saturday night as the first 1,000 fans 13 & up receive a Fans Choice Tee courtesy of First Choice Home Medical. RHP Kirby Yates (1-2, 2.00) makes his third start of the season against West Michigan LHP Jade Todd (0-8, 5.14). First pitch is at 7:05 PM. Gates open for season ticket holders at 5:30 PM, 6 PM for the general public. You can follow along the game with Tom Gauthier and Hank Fuerst beginning at 7 PM CDT on www.bghotrods.com courtesy of 1340 WBGN.